Position vacant at Fast cables. Location; Head Office DHA Lahore. Experience: 4 to 6 years of experience in Accounts department of any manufacturing concern. Looking for Manager Accounts and Tax for a reputable private hospital in Islamabad. The successful candidate must have experience in compilation of Monthly Management Accounts, preparation of Budgets and Profit/Cost center reporting. Must have strong control over GL Accounts. Must possess excellent analytical skills. Knows MS Excel at Advance level. Market competitive Salary with Medical benefit. Qualification: CA inter or ACCA Qualified. Experience: 6 Years out of which 2 Years in relevant role. - 1 to 2 years of experience preferrably in mining sector. Please send your resume at jawad.mirza@ghanigroup.com.pk. Please mention position applied for. Accounts & Finance Executive required for a Lahore based NPO. Candidate must be #ACCA Qualified/CA Inter/ICMA. Experienced candidates will be preferred; however, fresh candidates are also encouraged to apply. QuickStart is seeking for ' Assistant Manager Accounting' for Karachi office. 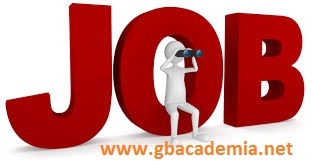 Candidates must possess Certification in Accounting ( ACCA, CMA), along 2 years of experience in Financial Reporting, Management Reporting, Bank Reconciliation, Microsoft Excel and PowerPoint. Working hours are from 1 pm - 10 pm. Interested candidates can share their resume at hr@quickstart.com stating position applied for in the subject line.